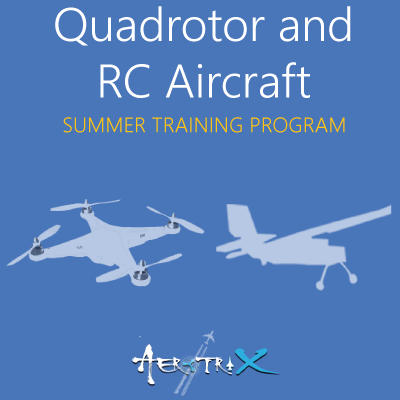 If you want to learn about flying objects and don't know where to start, AerotriX gives you just the right platform with a Balsa Glider workshop. Designing and fabricating a glider helps one understand the basic idea behind flight and the significance of various parts of the airplane. 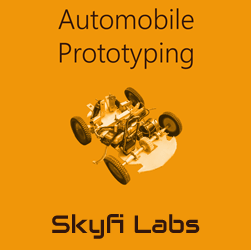 The workshop helps the participant understand aerodynamics, controls and stability in the simplest manner. By tweaking slightly with various parts of the glider, one can actually make it perform some interesting aerobatics. This will help the participant understand the basic principles of flight. Build your own Chuck Glider with Balsa Wood. Learn the Basics of Aircraft flight. Initiation into field of Aeronautical engineering through Aeromodelling. 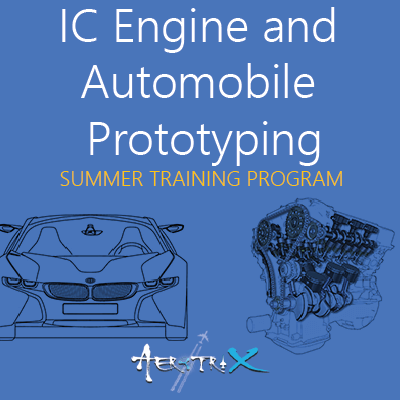 AerotriX is a division of Skyfi Labs that develops courses with a focus on Mechanical, Aeronautical and Automobile Engineering disciplines. Jammu is the winter capital of Jammu and Kashmir state in India. Jammu is well connected by train to points south and east. Jammu Tawi is an important railhead of the Norther Railways serving the Jammu and Kashmir State. It is the second last major rail stop heading north, the last one being Udhampur and most people only see it long enough to get from the train station to the bus stand to continue on to Srinagar. Jammu Tawi is connected to all major cities in India like Delhi (Jammu Rajdhani), Kolkata (Himgir Exp), Mumbai (Swarak Exp), Chennai (Andaman Exp) and even to the the southern most Trivandrum Railway station (Himsagar Exp). To Srinagar there are several J&K SRTC buses taking 12 hours and costing $150. Sumo 4wd jeep taxis also do this trip in approximately 8 hours and cost $200 per person (or more if you wish to hire the whole taxi to yourself). Minibuses also run from outside Jammu bus stand and more comfortable and sometimes cheaper than Sumos. For people who prefer comfortable journeys, try to hire a Toyota Innova for yourself, although it will be very expensive. Jammu has an excellent airport which has many flights from Delhi and Leh. Spice Jet, Jet Airways, Indian Airlines, Goair and Deccan Airways have flights from Delhi. Jet Airways also operates regular services between Jammu & Delhi and Jammu & Srinagar. Bus services of all classes operate to and from Jammu to Srinagar, Delhi, Amritsar, Ambala, Chandigarh, Ludhiana, Jalandhar, Pathankot, Shimla, Manali and Haridwar. The J&K State Road Transport Corporation (J&K SRTC) the road transport corporations of Delhi, Haryana, Himachal Pradesh, Punjab and Chandigarh also operate bus services between Jammu and various cities in north India. All inter-state bus services operate to and from the Jammu General Bus Stand. Distance is the same, but then riding a motorcycle to Jammu is not advised during Winters because of sub-zero temperatures. The winding roads from Udhampur to Qazigund via Kud offer sharp turns and scenic views and presents the rider with perfect riding challenges. These roads entice and excite biking enthusiasts from all over the world year after year. Tourist Taxis- Tata Sumos operate between Jammu and Srinagar on shared seat basis. Taxis are available for local sightseeing or to visit any tourist destination. It can be hired at Jammu from the Special Tourist Taxi Association. There is a sightseeing tour of 2-3 hours available for tourists, which cover Amar Mahal Museum, Dogra Art Gallery, Ranbireshwar Temple, Raghunath Mandir, Bahu Fort and Bagh-e-Bahu. Other Transport- The widely used mini buses cover the entire city and suburban areas on fixed routes. Autorickshaws are also easily available from all points in the city at negotiable rates. Buses run between the bus and train stations for $5 and take about 10 minutes. Jammu is also known as City Of Temples, One can visit Raghunath Temple, Ranbireshwar Temple, Peer Kho Cave Temple, Bawey Wali Mata, Mahamaya Temple. Other Place of interest are Baag-e-Bahu Park, Amar Mahal Museum, Mansar Lake and Fish Aquarium at Baag-e-Bahu. Charar-e-Sharief: (The Shrine is located in Kashmir valley not is Jammu) Chrar-e-Sharief is a shrine revered by both Muslims and Hindus dedicated to Sheikh Nooruddin, who was arguably the greatest mystic-saint of Kashmir. Hari Parbat Fort: (Located in Kashmir valley not in Jammu) The Mughal fort situated on the banks of the Dal Lake of Srinagar, it is positioned on top of the Sharika Hill. Martand Sun Temple: The most memorable and beautiful work of King Lalitaditya is the construction of spacious Martand temple, which the emperor got built in honor of the Sun God or Bhaskar. Bagh-E-Bahu: 5kms. These extensive gardens, laid around the Bahu Fort provide a pleasant view of the city. Open 8 a.m. to 8 p.m. Peer Kho Cave Temple: A cave shrine located on the Circular Road, 3.5 kms. From the heart of the town. Amar Mahal Palace Museum: A beautiful red sand stone palace, it stands amidst the most picturesque surroundings of Jammu. Maha Maya Temple and City Forest: On the By-pass Road behind Bahu Fort, the city forest surrounds the ancient Maha Maya Temple overlooking the river Tawi. Mubarak Mandi Palace: The oldest buildings in this Palace complex date to 1824.